Are You Ready For The Healing To Begin? 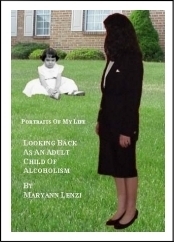 Portraits is an autobiography / memoir that will inspire both children and adults, especially those all too familiar with the dilemma of dealing with an alcoholic family member. Through a series of letters, poetry and narrative passages, all directed towards an alcoholic father, the author confronts him on how no one was ever safe from his intoxicating stronghold. By dealing with previously avoided and hurtful issues the author's own emotional scars are allowed to heal. The message of "there is survival after living with the alcoholic" comes across loud and clear.